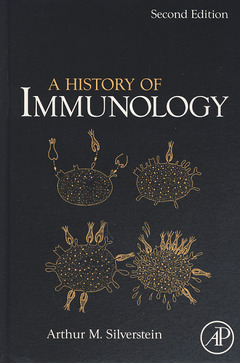 A History of Immunology Silverstein Arthur M.
Auteur : Silverstein Arthur M.
Written by an immunologist, this book traces the concept of immunity from ancient times up to the present day, examining how changing concepts and technologies have affected the course of the science. It shows how the personalities of scientists and even political and social factors influenced both theory and practice in the field. With fascinating stories of scientific disputes and shifting scientific trends, each chapter examines an important facet of this discipline that has been so central to the development of modern biomedicine. With its biographical dictionary of important scientists and its lists of significant discoveries and books, this volume will provide the most complete historical reference in the field. 22. The End of Immunology?